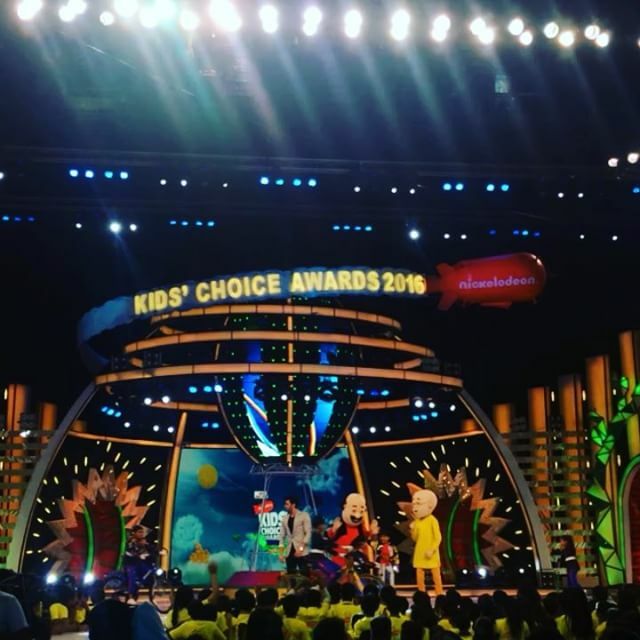 After two successful blockbuster editions, Nickelodeon India is all set to roll out the orange carpet for one of the most awaited events in kids' calendars – Nickelodeon Kids Choice Awards 2017! The one of a kind extravaganza which saw Bollywood’s biggest names like Shah Rukh Khan, Deepika Padukone, Varun Dhawan and Alia Bhatt match steps with the adorable Nicktoons Motu Patlu, Dora the Explorer and Shiva in 2016, is back – BIGGER, BETTER and even MORE GLAMOROUS! The upcoming edition of the Nickelodeon Kids Choice Awards 2017 is set to be the penultimate family entertainment destination with the stunning and versatile Alia Bhatt, Ranveer Singh and the uber-cool Nicktoons headlining the landmark kids’ entertainment extravaganza. The star-studded awards night is set to come alive in December 2017. Nickelodeon Kids’ Choice Awards is India’s only truly democratic and empowering award for kids in India wherein kids’ get to vote for their favorites. KCA empowers kids by making their favorites win across numerous categories such as Best Film, Best Song, and Best TV Show, to name a few. Last year saw the King of Bollywood Shah Rukh Khan win the title of Icon of the Year and the stunning Deepika Padukone win the best actress award for Bajirao Mastani. Kala Chashma was voted as the Best Song by kids while Temple Run was nominated as the best Mobile Game and Leander Peas received the Nickelodeon Khiladiyon Ke Khiladi Award. This year will also see the endearing Nick Toons Motu Patlu, Shiva, Dora, BOOTS, Doggy Don, Ninja Hatori and Gattu Battu have a fun time and match steps with celebs attending the awards show. The high decibel experiential event also attracts the biggest sponsors in the industry with the likes of Dabur Red Paste, Lifebuoy, Choki Choki, Funskool, Yellow Diamond Rings and Fru Juicy Jelly partnering with the event in 2016. Nickelodeon Kids Choice Awards 2017 will once again see the iconic Green Slime Mania that has taken the world by storm. 2016 saw the Badshah of Bollywood Shah Rukh Khan, Varun Dhawan and Alia Bhatt turn Green! It’s time to see who amongst the superstars will be slimed green in this year’s supersonic edition of Nickelodeon’s Kids Choice Awards 2017! Sources: MediaInfoLine.com, Indian Television Dot Com; H/T: Best Media Info.